Quality design for quality products. 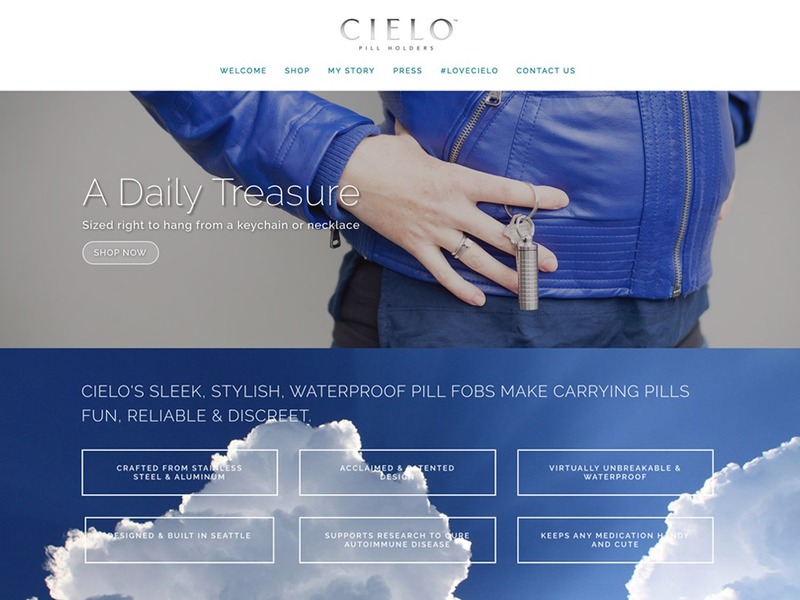 Cielo Pill Holders sells, design quality, pill fobs. 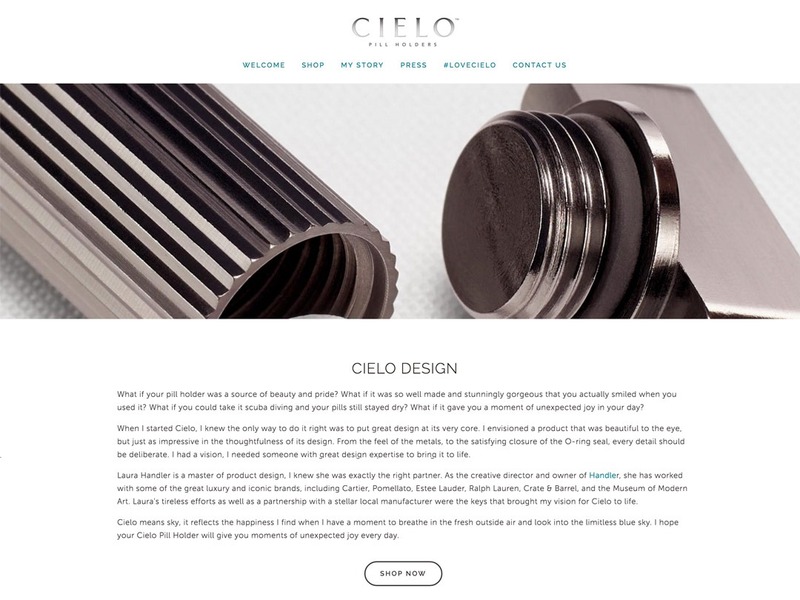 The owner of Cielo has a website in squarespace that she self manages. She has over the last year received a lot of media attention for her product. 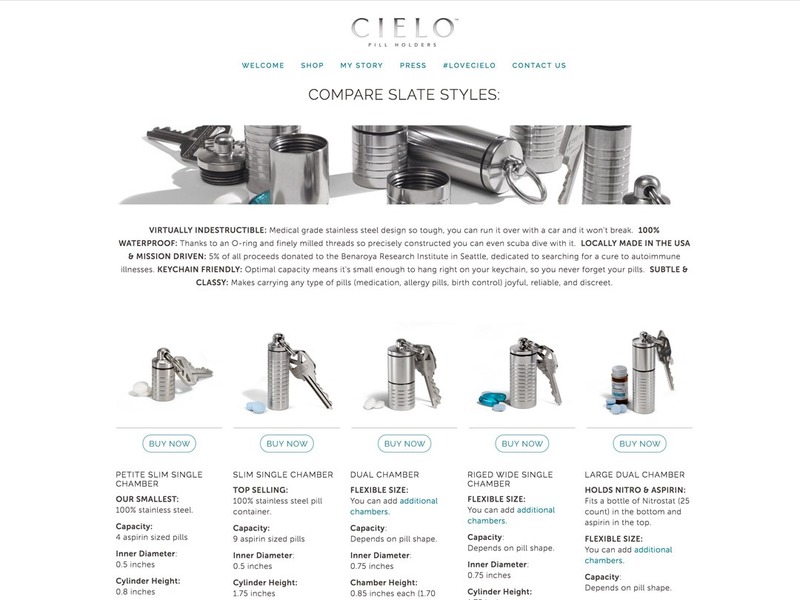 She wanted an upgrade to her website to pull in more sales and highlight the high end quality of her product. She also wanted to highlight all the great press she was receiving but she wasn’t sure how to implement the changes herself. We went through every aspect of her site and product, we discussed her success and concerns. Where customers had questions or complaints we found solutions to help navigate, understand and in the end, purchase her product more easily. 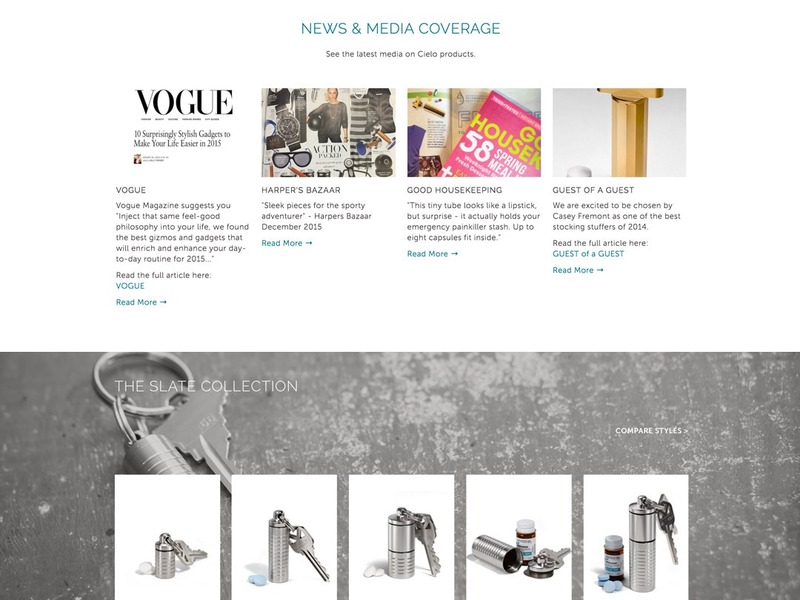 We found ways to highlight her success creating media feeds and customer response pages that fed into several significant locations on the site. I tutored her on how she could maintain the media feeds to keep her website current. 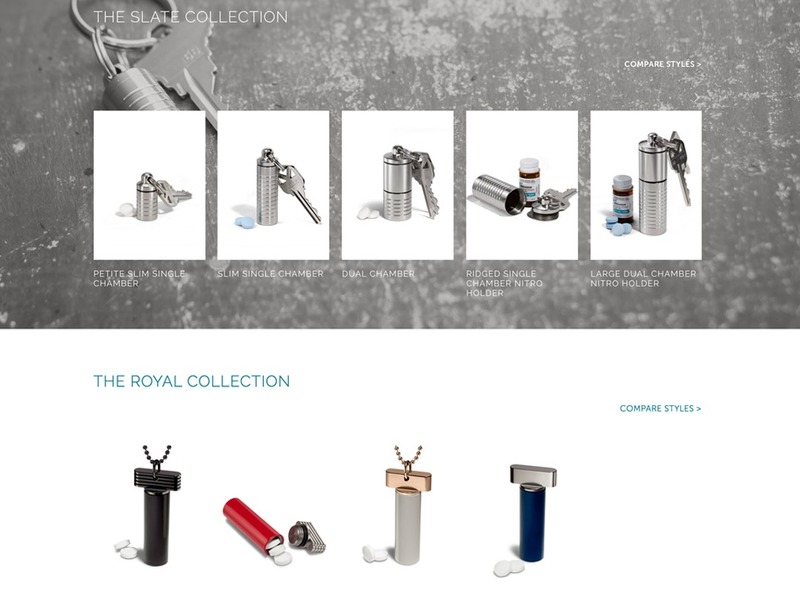 Every page was updated to make the site visually stunning and user friendly. 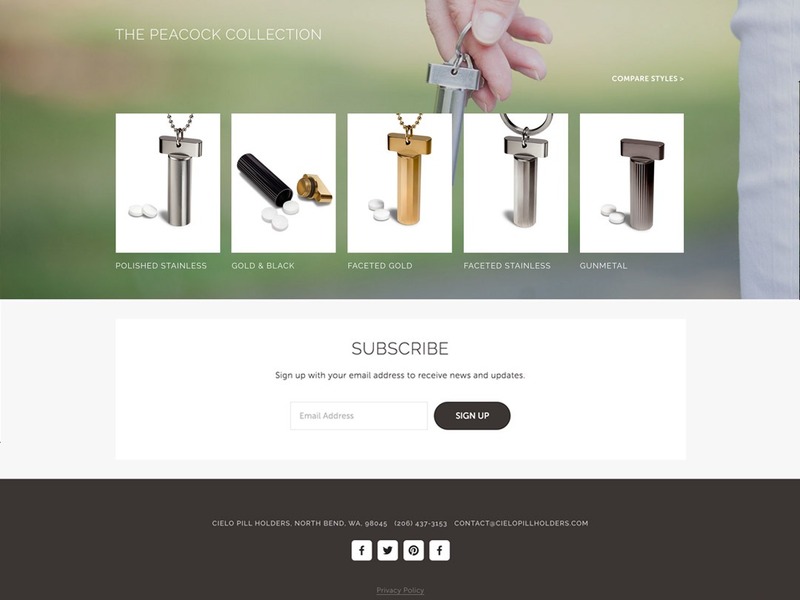 Make an impression with a website that highlights your product and style. Easy to manage online product sales. Dynamic ways to implement design. 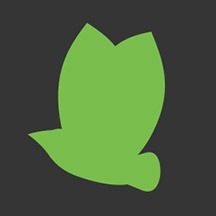 Feeds and Blogs to keep you site fresh and up to date. Self manage the images and other content on your site to keep it up to date. Design implemented to be eye pleasing. Discover new ways to help your customers find the product they need. 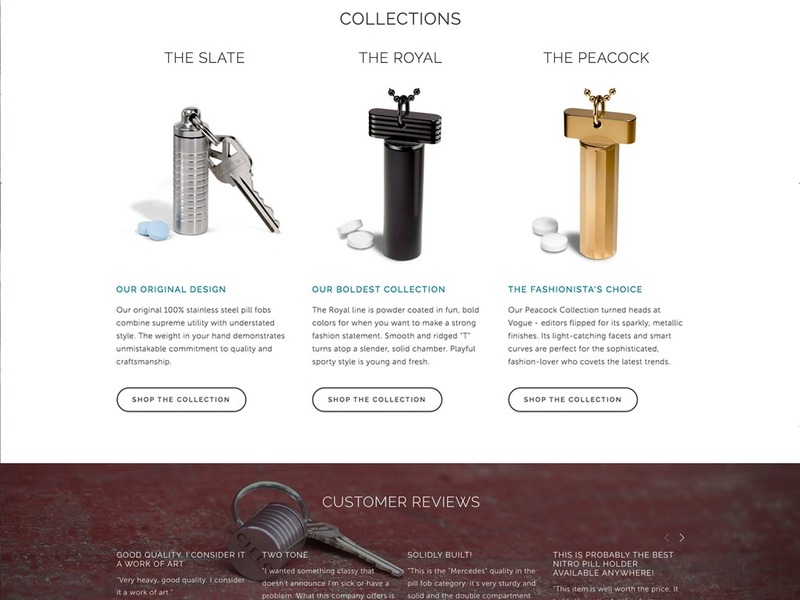 Highlight the fine design elements of your product with a website that reflects its quality.